£18 FOR £45 WORTH OF ITEMS!?! My first thought was, there has got to be a catch! So, as you do, I immediately gave this to my boyfriend to look at the fine print (always trust a man's eye). There is no catch, so for purchasing the voucher at £18 plus the extra £3.99 for postage we saving over £23! I am really considering purchasing this Groupon voucher. 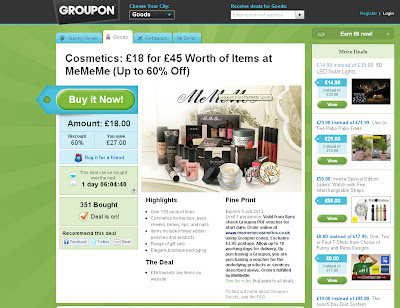 Groupon is such as clever concept and I cannot wait to pick my £45 worth of products! 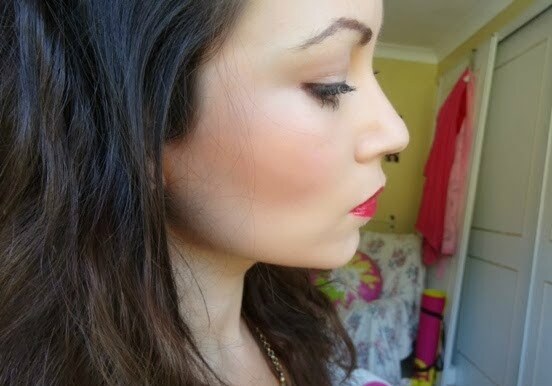 Of course, I will review them all for you guys! 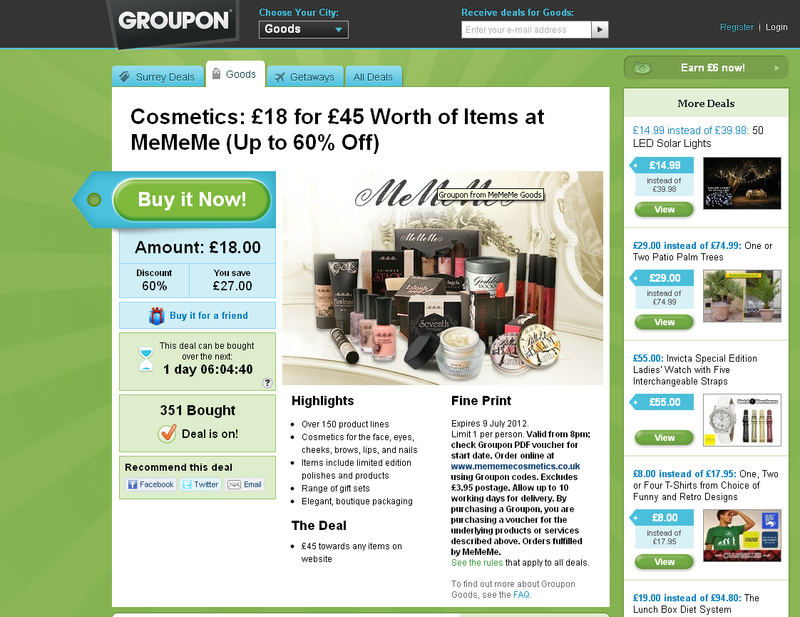 I'd love to know if you have purchased the voucher and see all of your awesome mememe products!